Amateur Radio of Churchill County is getting ready to take to the airwaves with a great Special Event Station to celebrate Navy Day. A.R.C.C. 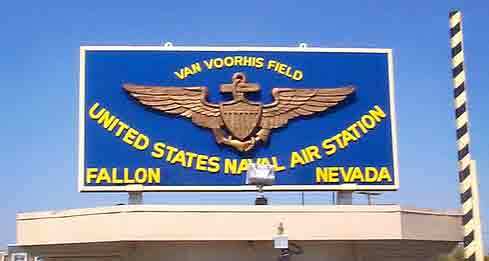 will be QRV from Naval Air Station Fallon October 26th and 27th, when they activate the amateur radio station located in the base Fire Station. operations at 9:00 AM October 26th and to continue for 32 hours, ending at 5:00 PM on October 27th. Look for the station in the 80, 40, and 20 meter bands as they honor the United States Navy and promote amateur radio and the community of Fallon, Nevada. The group will provide QSL cards and also will have certificates for hams who have QSO's with the station on all three bands.